There has been a platoon full of bad Iraq war movies in the past few years, but it seems to be getting better. 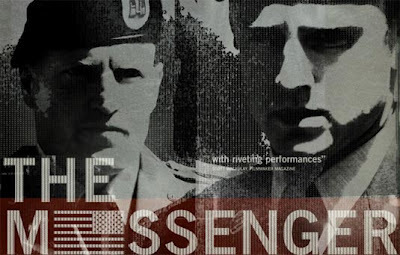 Kathryn Bigelow’s “The Hurt Locker” took home the Academy Award for best picture for 2009, and “The Messenger” is just as engaging if not more so. Directed by Oren Moverman, “The Messenger” is about the least desirable job in the military, Casualty Notification Officer. Ben Foster and Woody Harrelson lead a pitch-perfect cast in this intensely emotional film. Staff Sergeant William Montgomery (Foster) is back home recovering from a bomb blast when for the last three months of his service time he is assigned to a local Casualty Notification Team. It is Captain Tony Stone’s (Harrelson) duty to show him the ropes. Stone, a Gulf War vet who never saw any real combat, is a recovering alcoholic and a very lonely man. He is like a hollowed out steel statue of a man, who has had to always keep a stern dignified face while delivering the worst news a family could possibly get. Sergeant Montgomery is a very skilled, very smart soldier but wonders how long he could last and against all protocol and judgment starts up a relationship with the widow of a deceased soldier, played by Samantha Morton. This relationship is handled very well and like the rest of the film is grounded in reality. The notification scenes are absolutely heart wrenching and feel as real as it gets. Director Moverman really did his homework on the material and wrote a fantastic script. He then surrounded himself with a group of the finest actors and craftsmen around and made a truly moving film. 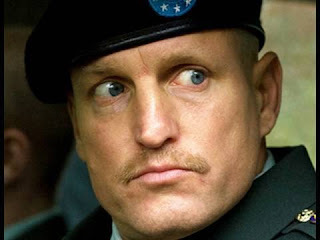 As for Woody Harrelson, you kind of forgets how good an actor he is. After last summers horror blockbuster “Zombieland” he proves time and again the kind of range he has. Then there is Ben Foster who has quietly built a reputation as one of the finest actors around with roles in big budget films and small independent films like this one. The DVD has a 25 minute documentary about Casualty Notification Officer, a commentary track and a few other extras. A definite must see!